Now that the harvest season is over, I have so much to catch up on with you all from this season. Seems when I am in the middle of the gardening season, I’m just too tired to write about all the things I want to share as I’m either in the glass shop or out in the garden during the day and come in at the end of the day ‘dirt tired’ as I say. So now I can catch up on maybe a particular vegetable I wanted to try, or how much honey I was able to harvest this year or a particular dish I cooked and enjoyed or something else I observed. I did take pictures all along waiting till I had the time to share. 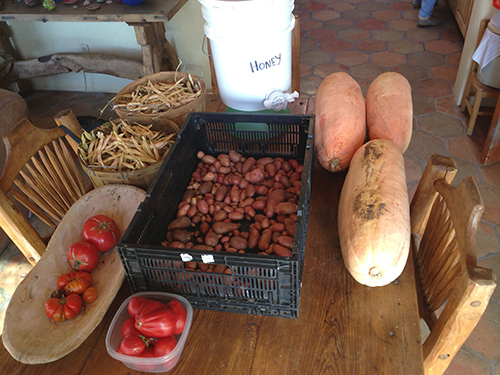 Here is a photo of the last harvest of the season on Oct 21, 2013. I picked the Tarabais beans after they dried in the shell. They are in the baskets (on the left) waiting to be shelled, 3 heirloom Banana squash (on the right) which I left out in the first few frosty nights as they get sweeter if left out in the cold (but do bring them in when we get really cold), French Fingerling potatoes were dug out and put in the black box to cure and the very last of the tomatoes that I finished ripening inside that later became sauce and in the white bucket behind all of that was the honey we harvested just before putting the bees ‘to bed for the winter’. You always leave enough honey for the bees before harvesting any for yourself and some years you don’t get to harvest any. Here it is waiting to be put into jars after being strained in the white bucket. More on these individually later. 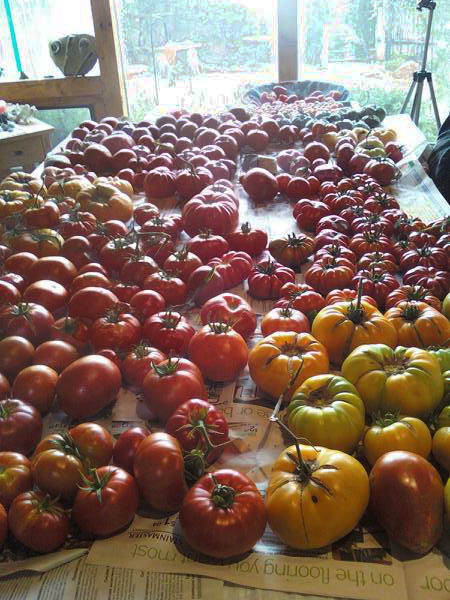 This entry was posted in FALL GARDENING, general, HARVEST and tagged fall gardening, fall harvest, fall vegetable gardening, vegetable harvest. 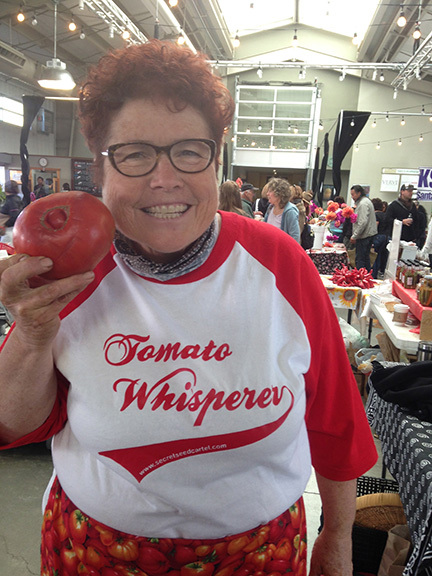 You embody the joy of life, Giant Veggie Gardener! Thanks for your generosity.